Dr. Gharagozloo can help you begin your journey to a healthy, beautiful smile. 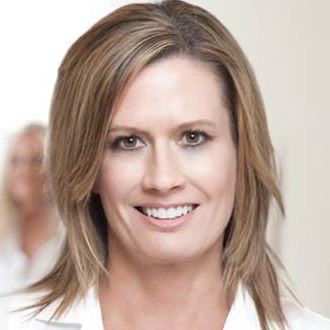 Dr. Mary Gharagozloo graduated from the University of Maryland Dental School in 2000. She practiced in McLean, Virginia for 13 years where she was honored for her skills and commitment by being named Top Cosmetic Dentist in several issues of The Washington and Northern Virginia magazines. Before dental school, Dr Gharagozloo was both a Registered Nurse and Physician Assistant in cardiothoracic and plastic surgery. With her overall education and work experience, Dr. Gharagozloo has 30 years of patient care in the medical and dental fields. Dr. Gharagozloo's extensive education and training has helped her become a talented and successful cosmetic dentist for Orlando, FL residents. Dr. Gharagozloo continues furthering her education on a yearly basis by attending symposiums at the Kois Center, the Seattle Study Club, and the Nashville Center for Aesthetic Dentistry. Dr. G became a certified DURAthin provider while attending a course at the Nashville Center for non-invasive approaches to improve dental aesthetics (DURAthin veneers are prepless veneers). This technique alleviates any concerns you may have with porcelain veneers and removing healthy tooth structure. With DURAthin veneers, your smile will be beautiful, functional, and the results will last! With her continued training at top dental institutes in the U.S., along with her extensive medical background, cutting-edge dentistry is what you will receive when choosing Dr. Gharagozloo, your friendly cosmetic dentist in Orlando. Your comfort is Dr. G’s top priority, so rest assured, all of your dental needs will be handled with extraordinary care and precision. When Dr. G is not busy perfecting the smiles of her patients, she enjoys running, yoga, traveling, and spending time with her family - which includes her “kids with fur,” Izzy and Bella.